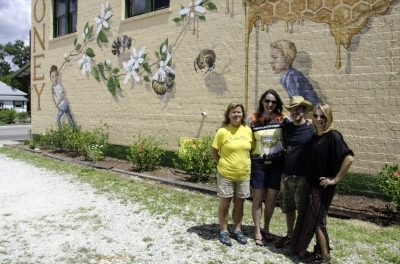 “This mural was the first in the series to raise awareness about the struggle of the honeybee. It was also where the initiative began. The mural was painted in sweltering heat over the course of ten weeks. 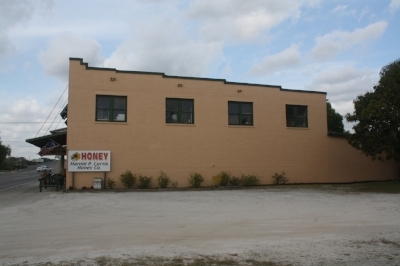 The entrance to the shop’s observation hive is in the middle of the wall being painted, so I was often working for hours with busy honeybees flying all around me. And not only did I not get stung once- I came to enjoy their company!. 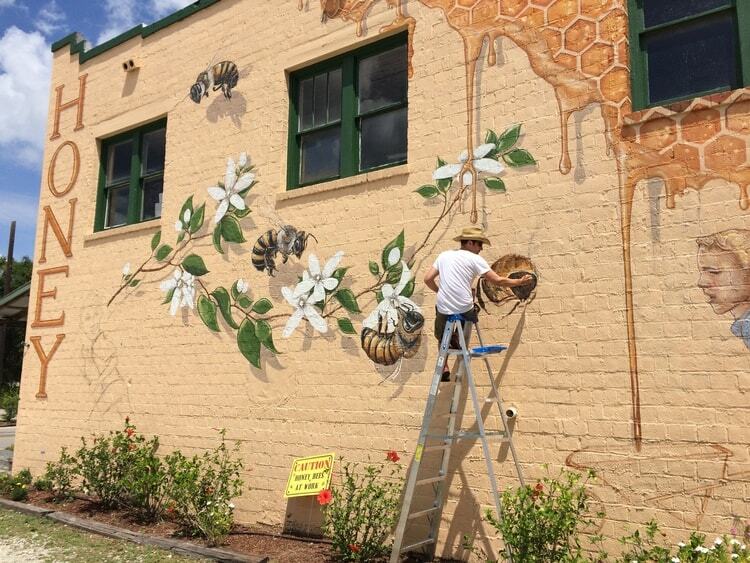 By the time the mural was completed the idea of The Good of the Hive was born.